We all know that a change is coming, not just in politics, but in the world. Our governments are clinging to the old regime, hopeful that somehow the economy will revive and the debt will go away. It won’t. We’re in an economic system where banks and large corporations effectively run governments. They put corporate profit before sustainability and before peace, and those profits are so huge and fantastical that they almost bear no relation to the real economy, at the same time as devaluing the money that the rest of us have. And governments can’t challenge them, because they need the tax take from their activities, to keep the failed system going. A system that no one has the imagination to change, least of all the politicians. Ever wondered why Osborne and Cameron look like panicked puppets who are unable to admit to the reality of what’s going on? That’s because they are. They know that logically, they can’t get growth going this time. No party can. The reason for this is you can’t have infinite growth on a finite planet, and we’re running out of corners of it that we haven’t exploited. The activities of big business destroy, rather than working in harmony with, the environment. An earth that should sustain us all is being pillaged for the enrichment of a tiny elite. As climate change starts to hit hard, we’re seeing wars for resources, where rich countries and multinationals collude to attack poor countries, dividing them up for contractors to run. This happens because war is a great generator of profit, and we’re addicted to the growth model, which in turn depends on oil. So we start wars, in the name of ‘peacekeeping’, ‘getting rid of a dictator’ or ‘fighting a war on terror’. But by doing this, the only war we’re fighting is with reality. 1.5million Iraqi, Afghan and Libyan men, women and children have died as a result of our last three illegal wars. Humanity can no longer sustain the psychopathic activities of those in charge. We need to change the system. The good news is that you and I can actually do something to take the power back. We may not have the courage to do this today, or even tomorrow, but at some point soon, people will start to see the necessity of it. We – all of us, the 99%, and we’re pretty sure that at some point even the 1% will see the logic of it, because you can’t eat fabricated money – can withhold our taxes from these pointless, desperate, redundant, dead-eyed governments. And we can transfer our money from the large multinational banks, and put it in the hands of ethical local banks, and start to grow the real economy. We’ll have to give up on the growth model, and replace it with well-being, happiness and community. We need to think local and small-scale, not so much overthrowing the system as neatly side-stepping it, and rendering it irrelevant. A tax rebellion has happened in British history before, when the people who paid tax withheld it from the government until that government agreed to their demands. The demands were agreed to, and they are known as the Magna Carta. A tax rebellion also brought about the founding of the United States of America, the end of the Vietnam War and the demise of the poll tax. If you take the fuel out of the system – ie, the money – governments are powerless. But is a tax rebellion legal? Yes. The reason a tax rebellion is absolutely legal is precisely because of our wars of aggression. Under the laws of war, every citizen is forbidden from taking part in war on the side of the aggressor. This means you are legally bound to disobey the orders of any governments that support or take part in an illegal war. It’s about personal responsibility. The reason people have been so disengaged from politics is that they believe they are powerless. But we can change that. The legal duty to refuse to obey unlawful government orders includes tax demands. So if the money you pay in tax is going towards waging unlawful wars that kill innocent civilians, then your normal duty to pay tax is reversed and becomes a duty to refuse to pay tax. In short, our government’s illegal wars of aggression provide the legal basis for the tax rebellion – although the protest is about so much more. It’s about creating a system where every individual is engaged, useful, contributing and passionate. Where everyone matters, and no one is a cog in a machine, unthinkingly keeping our heads down. But are our wars illegal? Yes. In fact, each of the wars against Afghanistan, Iraq and Libya is illegal on six grounds. They violate the Treaty for the Renunciation of War as well as the UN Charter – and because they’ve led to the killing of 1.5 million adults and 450,000 children and counting, this means that our governments and NATO have committed murder, war crimes, crimes against humanity and genocide. Don’t be an accessory to the war crimes committed by your government. By joining together as a Taxpayers’ Union in lawful tax rebellion, we’ll not only force the UK, US and NATO governments to end the wars within days, we’ll also reduce our individual liability for the crimes. Only if we continue to pay tax can governments continue to wage war. How do we withhold our taxes? The legal way of doing it is through an escrow account. This is something that exists in law for when two parties are in dispute. It’s often used, for example, during divorce proceedings, and the joint money is only released when the court has decided how much is going to what person. A similar thing would happen, but on a much larger scale, with the tax rebellion. You pay your taxes, lawfully, into an escrow account. By doing this, you are fulfilling your legal duty to pay tax, but you are also fulfilling your legal duty to make sure it’s not spent on illegal activities. The money is only released from the escrow account when the government has withdrawn the troops and agreed to our other demands for a better society. So the dispute is between the government and the British people. It’s simply a formalising of a situation (or dissatisfaction) which exists on a large scale already. Here’s the legal document you can sign. Doing so could make you part of one of the most important movements in history. This claim, by the Prime Minister and the Attorney General, that the attack on Libya was lawful was as false as the claims of legality made by Tony Blair and Lord Goldsmith when justifying the wars with Afghanistan and Iraq and their 1.5m civilian deaths. The truth is that war is never legal, the UN Security Council is prohibited from using force and killing civilians is always a war crime. In 1970, concerned by repeated violations of the UN Charter, the UN General Assembly adopted the recommendations of the International Law Commission and agreed 51 new rules to ensure that every Member State would understand and obey the law against waging war. Every State has the duty to refrain in its international relations from the threat or use of force… Such a threat or use of force constitutes a violation of international law and the Charter of the United Nations and shall never be employed as a means of settling international issues. These rules are crystal clear. The use of force is prohibited; the use of armed force to attack other States is a crime; no State or group of States, such as NATO, ISAF or the EU, may intervene in another State’s affairs and every State must obey, uphold and enforce these rules. So why do Britain’s leaders and Governments repeatedly ignore these rules and break the law? It is a crime to pay tax. This statement may, at first, appear improbable – yet it is true. The truth of it is embedded firmly in international law, and this law is explicit and unequivocal. At the Nuremberg War Crimes Tribunal it was stated that ‘individuals have international duties’ which transcend allegiance to their individual nation state. This makes it clear that each citizen has a responsibility to ensure their own personal conduct does not breach international law which overrides the laws of their own governments. Let’s look at what these laws are: in 1950, the United Nations enacted the seven universal laws of war known as the Nuremberg Principles, principle six of which clearly defines the crimes which are ‘punishable under international law’: crimes against peace, war crimes, and crimes against humanity. These joined the offence of genocide as the world’s worst crimes. ‘Crimes Against Peace‘ specifically prohibits ‘wars of aggression’ the definition of which our ‘interventions’ in Iraq, Afghanistan and Libya clearly satisfy. By deploying high-explosive weapons which they knew would cause massive death and destruction our leaders demonstrated intent and so are guilty of war crimes. This statement is crucial; state sponsored wars such as those waged against Afghanistan, Iraq and Libya can only be fought with the consent of a majority of the citizens, specifically through gathering their taxes. Governments cannot wage war without the money to buy weapons, pay troops or purchase supplies. Without the support of taxpayers and moneylenders war would be impossible. Taxpayers who fund illegal war commit a war crime. Your duty is clear then, as a citizen whose taxes are being used to commit war crimes you are committing those same crimes. The only way to avoid liability is to withhold your taxes, by doing so you will be upholding the law. But is this only about stark legalities? Do we not also have moral duties which impel us to act? Significantly, in this case, the law takes into account your conscience: Nuremberg Principle number four states that even if a person acts under the orders of their government this ‘does not relieve him from responsibility under international law, provided a moral choice was in fact possible to him’. Let us then ponder that in ten years NATO and ISAF governments have caused the deaths of 800,000 adults and 400,000 children, injured three million people and driven eight million into exile and destitution. These very real human beings – are they worthy of your moral consideration? International law says yes. What do you say? This – strangely enough – doesn’t apply to me, simply because I do not pay INCOME tax, this is because of my disablement but, on behalf of any person who is an income taxpayer, I feel obliged to ask, How can one refuse to pay tax without finding oneself facing prosecution and very possibly imprisonment, also, if one is employed some taxes would be deducted from pay! 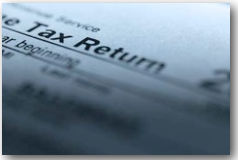 again, there are many ‘hidden’ taxes, how does one avoid paying these? VAT being a prime example! Thanks Gwen for three very good questions. The simplest way of avoiding prosecution for tax evasion is to pay all your taxes (income tax, vehicle tax, council tax, tv licence fees, stamp duty, capital gains tax etc) into an escrow account. A ‘taxation’ escrow account is an account held and administered by a third party, such as a bank or a court, where the tax is only handed over when the terms of the escrow have been met. In this case when (i) the Government is abiding by the laws of war, (ii) the war with Afghanistan has ended, (iii) the troops have been recalled and (iv) criminal proceedings have begun against those responsible for war crimes against the Afghan, Iraqi and Libyan people – [eg Blair, Brown, Cameron, Clegg and all Cabinet Ministers since 2001]. Once you have put the money into the escrow account you have fulfilled you national duty to pay tax as well as your international duty to withhold tax and therefore you cannot be prosecuted for tax evasion or tax payment. The great benefit of this way of paying tax is that it returns the power of government to the individual. The current tax process forces us to hand over our money to the government unconditionally, allowing them to spend it in any way they choose. But this ‘escrow’ method enables taxpayers to place conditions on how it is spent. So for example it enables us to say “I refuse to allow my money to be spent on training and arming our soldiers to kill innocent civilians, you may only have it if you spend it on education and health”. I am late to your interesting take on withholding taxes from the evil governments of the recent past and present, for that I apologise. I entered into Lawful Rebellion in May 2011, I informed the Queen, the Government, various Courts and the Police by way of affidavit, witnessed by an officer of the court. Invoking article 61 of Magna Carta 1215, article 12 of the Bill of Rights 1689 and the UDHR 1948, having various degrees of success. I have in a variety of ways withheld taxes and fines from the powers that be but your take on this I find most interesting. I have heard of ‘escrow’ accounts by way of the British Constitution Group and the Lawful Bank but for slightly different ways than you are proposing. I have a couple of questions for you, if you don’t mind. Would I need the services of a solicitor or such to set up an escrow account, something I am loathe to do. You say that a court can be used, can you shed a little more light on this, I find this very interesting. I hope this idea gets the following it deserves, keep at it. The answers to your questions will soon be available on this site. Several document will be made available for you and others to print out and use in order to address various situations. I am in, I love this idea, but don’t forget Syria, Lebanon, Iran, Yemen. We can change government, use it to demand that the ‘Israeli lobby’ and all zionist are removed from Government; that includes zionist MPs: Cameron and all his front benchers and also Milliband and his benchers. Demand our country back from Israel! We need to use the Icelandic method combined with this technique to take our Country back from Rothschild and his pals at the City of London. Hahaha. you have been fooled too, so many are. It isnt Zionists, it is the Cabal of 3… City of London, Vatican City, Washington DC. And the 3 Families of the 12 that control most of the money. They do not give a damn about Zionism, only their own control of the World. Hello all, I have been withholding Tax for some years now but its good to see you guys are doing the right thing.. Any up and coming protests? I would be happy to attend. Thanks..
1) Is it safe to assume that I’d have apply with the courts to keep my employer from paying taxes out of my salary directly to the revenue services and into the escrow account? 2) This money paid into the escrow account doesn’t generate interest, right? I’m completely against this system that generates money out of thin air. Actually, I’m totally against this money system. 3) I personally don’t like banks as my money will probably be used to keep this flawed system going, but unfortunately waging a war against that system requires a different strategy so let’s just forget this point. 4) In continuance of the above, I know I’m probably taking fat chances, but can one of my conditions be a refusal for my taxes to pay back the loans owed to the IMF and the World Bank as these two organisations are big role players in impoverishing nations with their structural adjustment programmes? I may have more questions but my brain is drained from a long day of being another statistic and advocate of this broken system, but I will send through once I’m refreshed. I know I may be a big dreamer, but I’m supporting this. WE MUST ALL DO THIS. Thanks for the post, interesting read. I am curious on the tax payment being held in this way (third party). My question is what happens when the terms are met eg the war end and the troops return along with other things? Does the money then get forwarded to the government? And the other end of septum, Does the money being held into the account get returned to the person? If not! Don’t that mean tax is being paid anyway just in a different system? It’s Simply have I missed something? Anyone with legal knowledge needs to look at Case Stated Re non payment of Council Tax. Case states the court cannot give consecutive sentences only concurrent. A legal loophole perhaps. If the Governmet want to prosecute you for withholding taxes – take it to the highest court in the land and then when they don’t enforce International Law you take it to the EU Courts. Whilst there is an agenda to bring the UK into the Euro Bloc, there is nothing the Government and the Crown HATE more than taking the decision out to another power and away from them. The EU Courts are only to happy to violate the Sovereignty of the UK to help out it’s people and make them friendlier to the Euro Bloc. Several incidence of UK Court decisions being overturned in the EU. With the info on this blog post, and more info on Lawfull Rebellion, and all the UN and international law experts who give us all WAY more than just a reasonable suspicion that our Government and Crown have broken International Law in Several VERY SERIOUS ways, making a case in the Euro Courts would not be hard and I think Merkel would LOVE to undermine Cameron and the Queen. I’m hoping the EU can save us from the Tories. The Tories first got us in the EU when they thought it would only be good for their tax dodging corporate donors. Then as soon as there were directives good for most people such as allowing workers enough breaks or making companies label GM food they started getting worried it would affect the ability of the few at the top to mistreat most British people, so tried to turn us into a USA state instead. It’s hardly a “tax rebellion” if income tax is being paid into a escrow account… Its more like a compromise. When I do get out to earn money, I earn very little so i feel robbed when a significant amount of tax is deducted from my pay and am always struggling financially which impedes on my well-being. This in turn draws on the issue of our failing education and health system that fosters a similar stance as profiting from wars. Fact is, we could all be thriving without money full stop!! What about all the taxes we pay buying food, alcohol , petrol, everything even dieing is taxed. There is a long way to autonomy !!!!!! Hi can we still withhold our taxes due to the recent bombing in Syria. How come no comments on this in so many years? Are we being censored? No, you’re not being censored. This web page is no longer active although on occasion I will come across a comment waiting to be approved and approve them. I had to resort to needing approval for comments because of the fact I am unable to keep my eye on this page all the time due to it no longer being active. Another website was created which is as far as I am aware active. You can find a link to the active website by visiting the link displayed on the header image or clicking the link called: “CLICK HERE FOR NEW SITE” which is on the home page.